Grand Rapids, MI- Vertical Media Solutions (VMS) is pleased to announce the addition of corporate outplacement services to its extensive list of career enhancement offerings. The service will provide a way for businesses to assist displaced workers during their career transitions. With the rapid pace of today’s changing business needs, workforce realignments, layoffs and other terminations are a frequent occurrence. VMS’s outplacement offerings are designed to ease the burden on businesses while simultaneously offering displaced employees the opportunity for a thorough career examination. In fact, displaced employees will not only receive resume and interviewing assistance, but they will also receive career coaching aimed at helping them achieve their ultimate career goals rather than just get a job. Their industry experts have an extensive background in recruiting, career coaching and resume preparation, giving them a thorough understanding of current and future hiring trends. 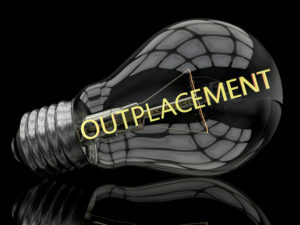 Outplacement services are often thought of as a nice thing to provide for a terminated employee. However, they also provide a vast number of benefits for the employer as well. Outplacement services greatly reduce the HR time investment that is typically required for terminated employees. These services also help businesses enhance their reputation in the community and with their remaining staff. Numbers show that implementing outplacement services even helps retain other employees and improves their productivity as well. Vertical Media Solutions has always had an extensive package of career service options because they know that every job seeker is different. And, the outplacement service options are no different. Highly customizable plans ensure that businesses of every size can take advantage of this vital resource. In addition, package rates are discounted from the retail prices to accommodate every budget size. No matter how many employees a business employs, outplacement services from VMS will ensure peace of mind for everyone in the workplace. Vertical Media Solutions, www.www.vmsolu.com, is a specialized writing firm that takes pride in delivering personalized resumes, CV’s, cover letters and LinkedIn profiles. Their consultative approach encourages an anxiety-free experience while producing the results you desire.